After a meal with Olinsky’s daughter, Erin and Olinsky respond to a call nearby. First off, let me just say that I loved the opening scene. 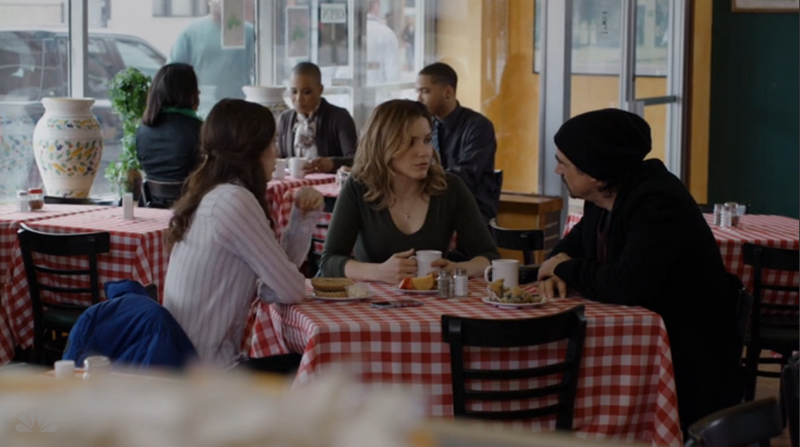 We haven’t seen much (or any) of just Olinsky and Lindsay together, and I’m loving their dynamic. Things quickly turn serious when the two assist a patrolman in searching what appears to be an abandoned building. Chained to a wall, they find a group of young Asian women, all dead. 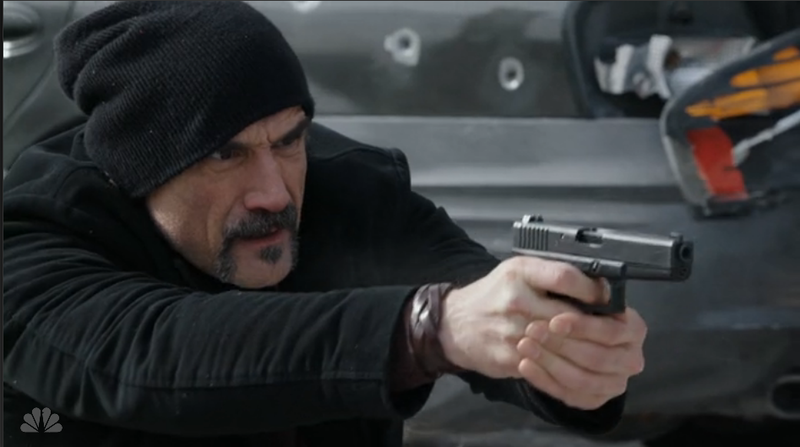 Olinsky has a brief run-in with one of the men involved, but he escapes after a shootout. The girls died from a combination of starvation and dehydration and clawed each other for the little water they were given to share. It’s a brutally heavy case, one that quickly becomes personal to Olinsky. Dennis Lee has been on CPD’s most wanted list for more than 6 years, and was the target of an investigation Olinsky was a part of years ago. 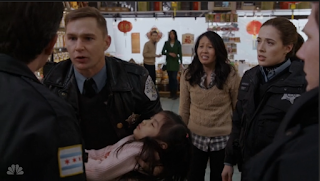 The team finds Eddie Cao and attempts to use him to get close to Dennis Lee, his uncle. When the team follows a false lead to a shipping container, they come across Jesse Kong (leader of a gang known as the Triads), also recently burned by Dennis Lee. They tag Jesse’s car and use him to get to Lee. Along with the tag on Jesse’s car, the team uses an old lead Olinsky had and brings in Lee’s girlfriend? Mistress? We’ll go with significant other. Now, I know Lee is the “bad guy” of the episode, but there was no one more despicable than Anna Tse (Lee’s girlfriend/mistress/significant other). She was brought over in a shipping container, just like the other girls. And yet, she condones what Lee does. Her response? “I came here just the same. Small container, with a hole punched on top for light. Some of die, some of us win.” Disgusting. I understand that she is, in a twisted way, grateful to Dennis for bringing her out of poverty. But to have that mindset towards the girls who were killed is just awful. While Voight may be the intimidating, in-your-face type, I find Olinsky to be more terrifying. When a case becomes personal to Olinsky, it completely envelops him. Making a case personal is dangerous. It’s no longer about justice, but retribution. 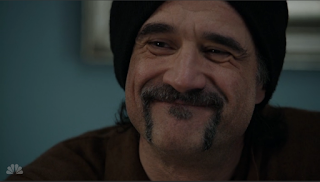 That combined with Olinsky’s darker side makes him a loose cannon. I’m not surprised he ended up with his gun to Lee’s forehead, unable to move his hand away. 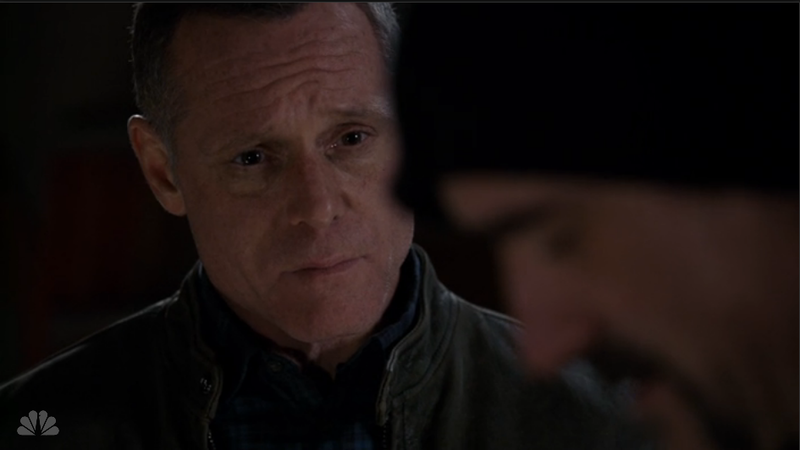 There have been several times when Voight has been in a similar situation, but I somehow always knew he wouldn’t cross THAT line. But this moment with Olinsky? I wasn’t so sure. Olinsky’s wife is afraid that he’s going to crawl into some sort of dark hole, as she’s seen him do so many times before. I was afraid for Olinsky too, especially with his initial unresponsiveness at dinner with his family. But then Jason, Lexi’s boyfriend, shows up for dinner and it’s clear Olinsky invited him. Too sweet! Mouse is getting along well in the unit! He seemed to bond this week with Erin, who asks Mouse to look into Olinsky’s daughter’s boyfriend. I want to know so much more about Mouse. Yes, I realize we aren’t even close to knowing a lot about our lead characters, but I think it’s about time to add Mouse (and Nadia) to that list. Roman and Burgess assist on scene where a young girl was hit by a stray bullet. Because no ambulances are in the area, Roman decides to take the girl himself, which is apparently against regulation. When he receives pushback from another patrolman, he punches him and continues on his way. You go, Roman! I wanted to punch that guy too. Officer DeLuca, aka Roman’s punching bag, filed a formal complaint against Roman. Roman is suspended, but I get the feeling that won’t last. Sure enough, Voight coerces DeLuca into dropping the charges. Nadia got a 95 on her CPD written exam! Platt is not impressed (except we all know she was SO proud). “It’s basically 100,” says Nadia. “That’s like saying the ‘Hawks basically beat the Kings last night, even though they lost by a goal,” responds Platt. She’s the best. But next up is the polygraph, and Nadia is nervous. The polygraph tester hints to Platt that Nadia passed, and I’m thinking it’s all thanks to Platt’s little trick; a tack in the shoe. Next up? The physical exam. “I’m gonna pull out some of my old workout plans. You wouldn’t believe what I used to be able to squat.” Do I need to tell you who said that? No. You should know. I believe there are only 4 episodes left in the season, which is just crazy! Time flies. Chicago PD has already been renewed, so I can’t help but think ahead to season 3. Might we see Mouse and Nadia join the cast as series regulars? I hope so. Chicago PD is on hiatus until April 29, but tune in Tuesday, April 28 as the next crossover event begins with Chicago Fire. What did you think of the episode? 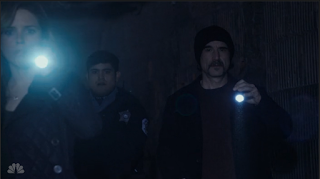 Whose bad side is worse to be on, Voight or Olinsky? 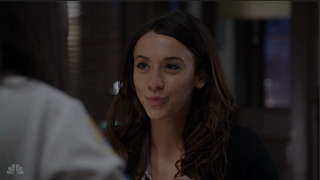 Will we see Nadia become a police officer before the season finale? A Colorado native, Meghan was born a raised a Denver Broncos fan. Aside from football, she loves storytelling, whether it be movies, television, books, or music. Some of her favorite shows of the past and present include LOST, Friends, The Office, Scandal, Chicago PD, and Chicago Fire. She is excited to be reviewing two of those shows for SpoilerTV, Chicago PD and Chicago Fire.